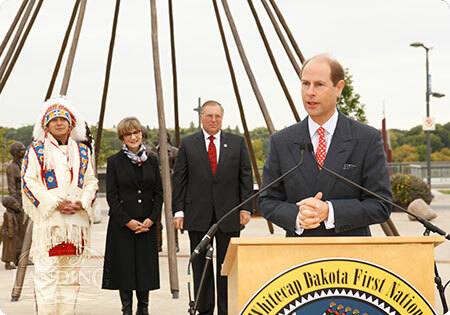 On September 19, 2014, His Royal Highness The Prince Edward, Earl of Wessex, along with Chief Darcy Bear of the Whitecap Dakota First Nation, and Mayor Donald Atchison of the City of Saskatoon unveiled the War of 1812 “Spirit of Alliance” Bicentennial Monument at the roundabout on Avenue A and Spadina Crescent. Whitecap Dakota First Nation, in conjunction with the City of Saskatoon, commissioned this piece from Saskatoon artists Jean-Sebastien Gauthier, Ian (Happy) Grove, and Adrian Stimson. 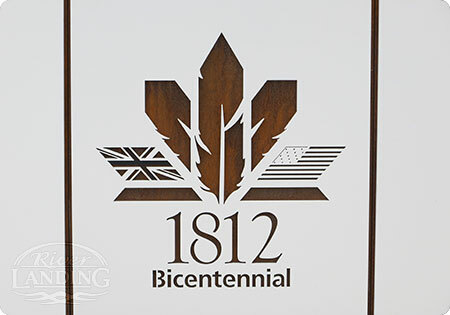 The monument recognizes the War of 1812 as a milestone in the development of Canada, and to honour and acknowledge the allies who fought with the British Crown in the defense of Canada. 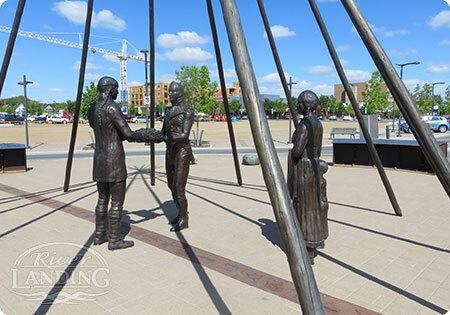 This monument acts as a legacy piece to recognize the War of 1812 Bicentennial and the spirit of alliance. 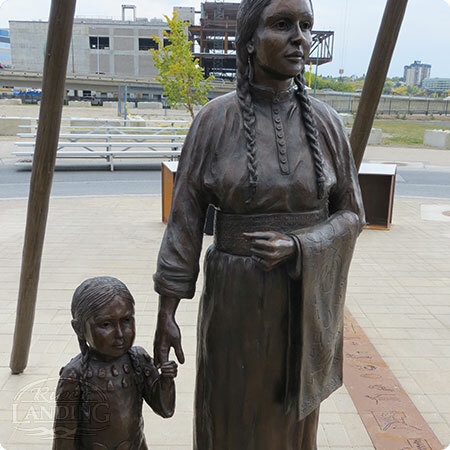 The vision for the monument is to represent the multicultural allies who participated in the War of 1812, and whose descendants now reside in the prairie provinces. 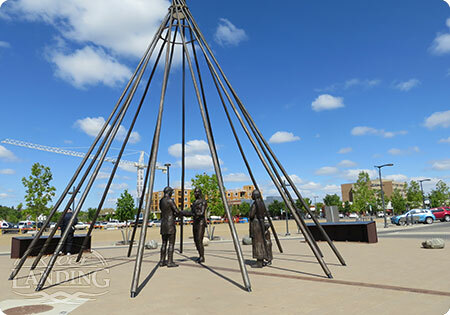 It leaves a lasting legacy for Saskatoon and area residents and visitors, acting as a constant reminder of the many partnerships and alliances that laid the foundation of our nation.